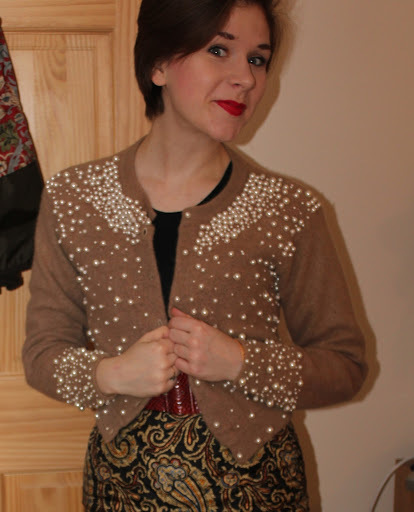 Sale purchases: Vintage and new! In the past week I’ve purchased a few very nice items in the sales, and I just want to share a few of the items, in outfit form. This was my outfit for my first day of spring term at uni. Day 1 and already readings and essay set *sob*. I am super excited though about the modules for this term. One of my module is about the eastern/ western cross-pollination in fashion primarily. Knowing me I’ll be turning up to uni in appropriate outfits every tuesday for my seminars. The cardiagan is from Lovely’s vintage emporium. 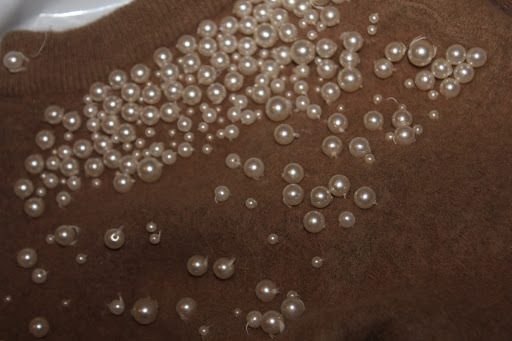 Super soft and COVERED in little white pearls. It ia also incredibly warm. 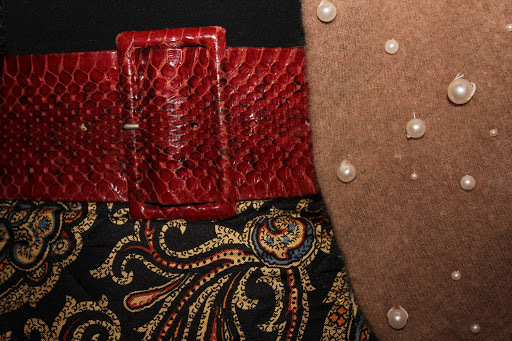 The belt came from Catherine Smith vintage in Harrogate a few years ago. It is real snakeskin in rich red. 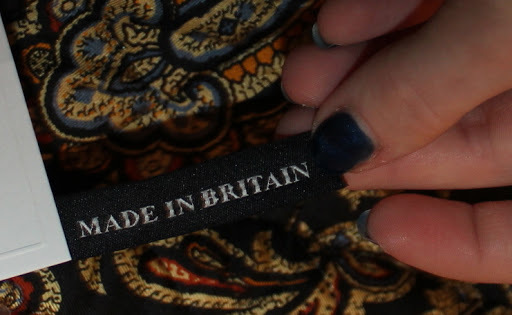 Plain and boring gap t-shirt- I dread to think how many of these I own. Sarah Coventry vintage brooch- I also have the matching earrings. 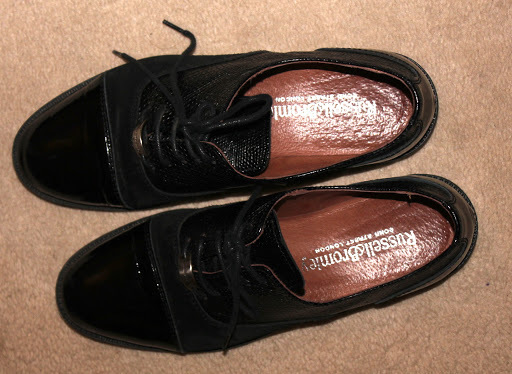 Russell and Bromley brougues. Ever practical. 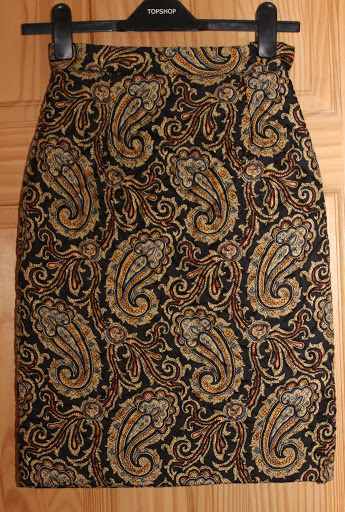 AND this fab skirt. Reduced from £65 to £20 in the Topshop sale. 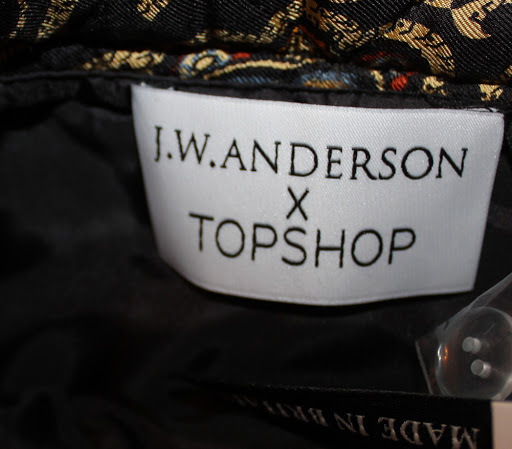 It is one of the J.W.Anderson pieces. 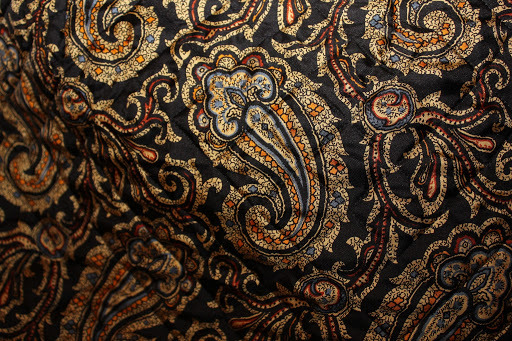 The quilted effect and paisley decoration actually reminds me of my Grandad’s dressing gown. Not sure whether that’s a good thing or not! « My New Years eve dress! I was hunting for cardigan like that for ages! It is absolutely adorable and fits you so perfectly.